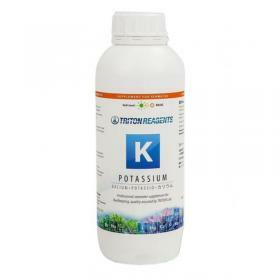 Potassium macro element seawater supplement. Potassium is an important element that naturally occurs in seawater. Beneficial for SPS coral colour and bacterial environment.